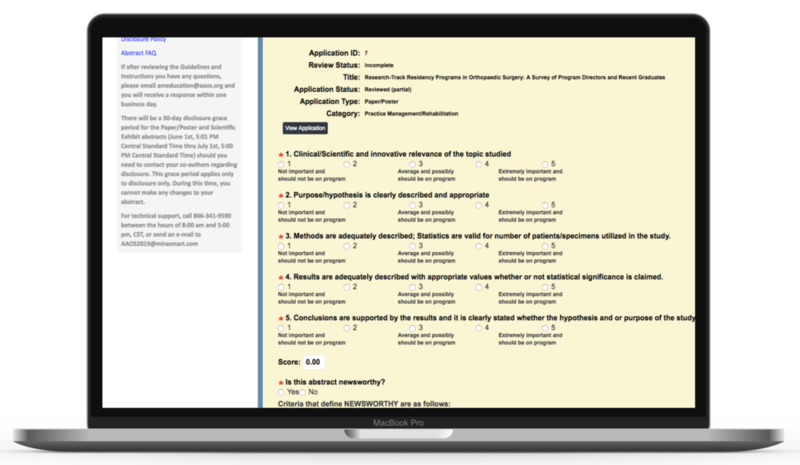 MiraSMART allows you to easily customize the abstract/paper/poster submission process. Your authors and presenters will love the resulting simple and clear process. You decide how you would like to receive submissions and reviewers have full online access to them. Your reviewers will be happy to avoid carrying around bulky piles of paper! 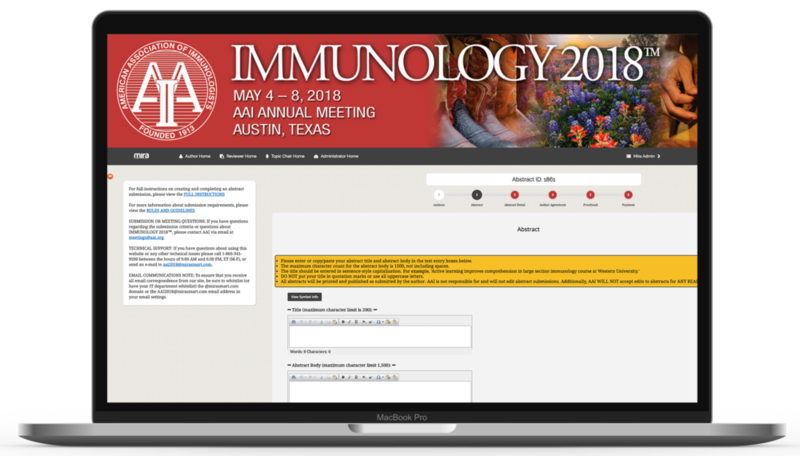 Choosing whether an abstract will be uploaded and/or copy-and-pasted. Uploaded file formats: PDF, Word, Pages, LaTex, PowerPoint, etcor even the occasional Word Perfect format. A user-friendly WYSIWYG editor that makes abstract submission and editing a breeze. An easily created Author profile and login/logout that remembers where they left off in the submission process. The profile information will automatically be added to your admin dashboard for easy communication, list building, scheduling and targeted sharing with reviewers and other stakeholders. Easy functionality that label authors “submitters,” or “speakers,” or whatever custom role you need. Administrators can choose to charge a submission fee. The software can automatically accept credit card payments for deposit into your bank account. MiraSMART is fully customizable for your reviewer needs, so there is no confusion over terms such as “abstract” vs. “paper” or “author” vs. “speaker.” You select the titles and terms that best fit your workflow. 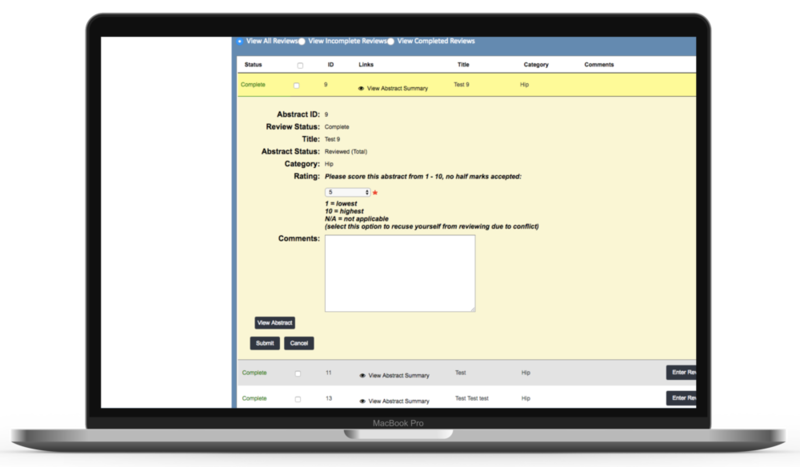 This gives you a simple, intuitive peer review process that easily progresses from submission through scoring and eventual approval. Progress in the review process can easily be assessed via powerful visual analytical tools. Graphical analytics showing you exactly where each author and reviewer is in the submission and review process. 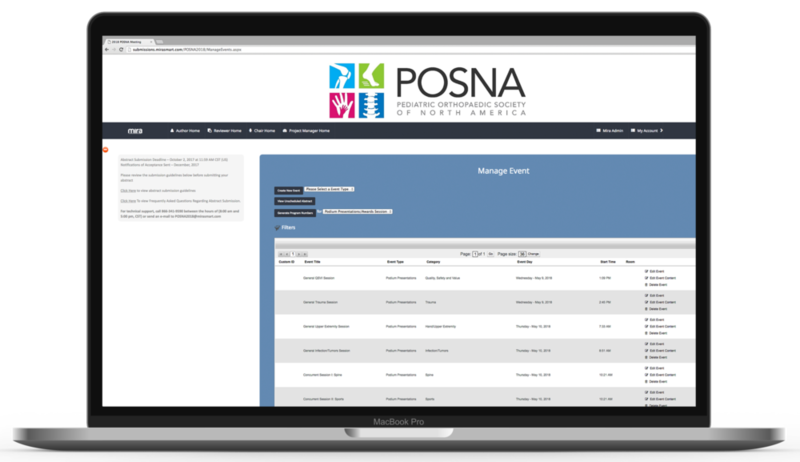 Quick, efficient and hassle-free communication with any and all stakeholders. Integration with your established workflow. Mira is flexible enough to meet your organization’s needs and powerful enough to adapt to your changing and growing needs. Scoring biases can be quickly identified with built-in intelligent visual reviewer analytics. Our admin dashboard gives users a graphic snapshot of what stages submissions are currently in. 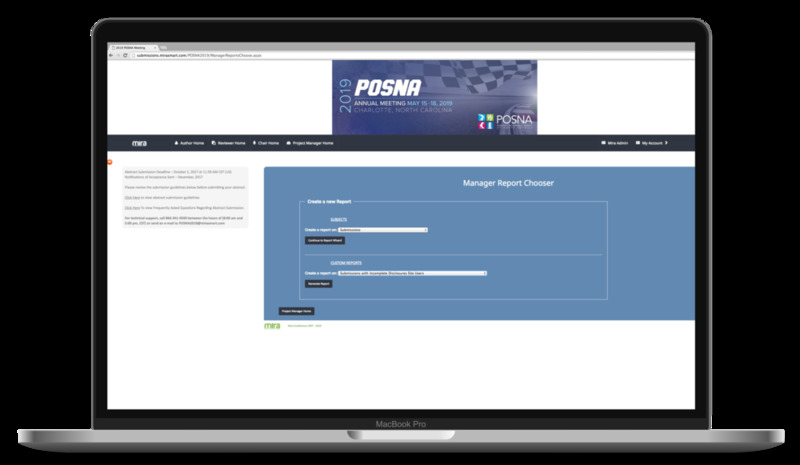 The admin menu allows users to impersonate user, access email tools and templates, all sent from within the system, and access to reporting. 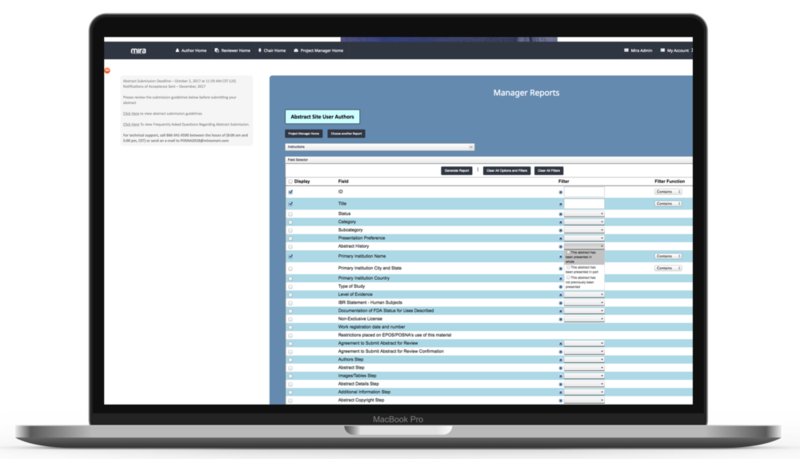 Mira’s easy to use Report Wizard allows you to filter data and create custom reports all within the system. Reports can also be exported to .xls or .csv.